Whether you have sensitive skin or are afflicted with allergies, it can be difficult to find makeup that looks great on your skin without causing adverse reactions. Hypoallergenic makeup, however, is a great option for women that have reactionary skin. All of these products have been tested by doctors to ensure that they will not irritate skin or clog pores. Even if you do not have especially sensitive skin, hypoallergenic makeup is often more natural than other kinds of make-up, making it more earth friendly and safer for all around use. After all, everything you put on your skin is absorbed to some degree, and avoiding harsh chemicals is never a bad thing. Chances are, if you have sensitive skin, you know you have sensitive skin. You have felt the effect of lotion, makeup, and soap on your skin. You know the burning, stinging, redness, bumps, acne, and dryness well. But for some people, the symptoms of sensitive skin are not as obvious, or you may not know that it your brand of lotion causing the chronic red blemishes on your face. Some women experience simply discomfort when they put a product on their skin. It does not burn, it does not sting, it just doesn’t feel right. Maybe it doesn’t absorb the way it’s supposed to, or maybe it causes flakiness. These are also symptoms of sensitive skin that are not as well-known as their more aggressive counterparts. Though a dermatologist is the only one who care truly tell you if you have sensitive skin, you make be able to identify it for yourself by the bumps, thinness, and erosion. If you get flushed easily, this might be another sign that your skin is sensitive, not just temporarily irritated. The ultimate cause of sensitivity in skin is unprotected nerve endings, which are then irritated by washing, touching, makeup, and lotions. As a result, the skin may develop rosacea, eczema, and chronic dryness. A dermatologist can tell you if you have specific allergies, by performing a patch test, which can help you know what to look for and stay away from when it comes to purchasing makeup. They can also recommend what kind of cleaners and lotions are best for sensitive skin. Not everything labeled “hypoallergenic” or “for sensitive skin” really natural and safe for your skin, so always read the entire ingredients label. When it comes to makeup, for example, it is probable that the irritant is not the main ingredient, but in fact, the fragrance. Whenever possible, stay out of extreme cold and direct sunlight, as both of these conditions can further damage to sensitive skin, no matter what precautions you take. While it may have been difficult in the past to find makeup that was compatible with sensitive skin, there are many companies these days working to bring the highest quality, most effective makeup solutions to those with sensitive skin. Just because you have sensitive skin doesn’t mean you can’t find great products that are gentle enough for everyday use. Even if you do not suffer from sensitive skin, the hypoallergenic makeup still has a number of great benefits. Because it generally contains fewer ingredients than traditional makeup, it is better for the long-term health of your skin. The preservatives and chemicals present in regular makeup can actually ruin the condition of even the healthiest skin, causing wrinkles, spots, and blemishes. Because regular makeup is often ground finer and processed with chemicals that neither breathe nor wear away, it is very easy for your pores to be clogged, and for acne to start popping up around your face. While this is most common for women with sensitive skin, all skin types have the potential to be irritated by all of the artificial ingredients present in traditional makeup. You should not always trust a label’s “hypoallergenic” stamp. This term is not well-regulated and can be used by companies, even if their products are not actually safe for use on sensitive skin. 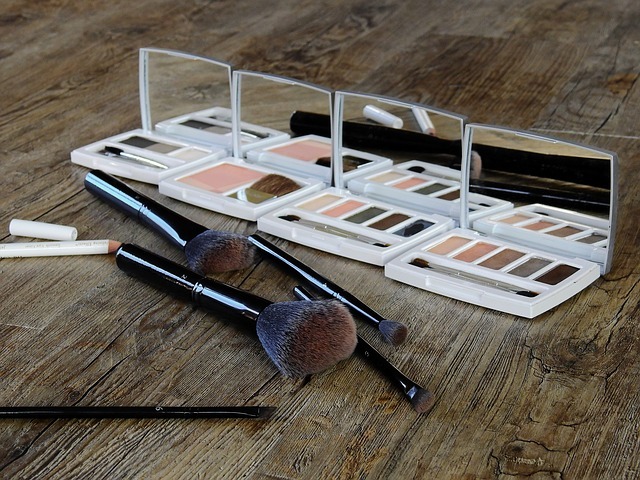 Truly hypoallergenic makeup products will have no added fragrance, no parabens, and are never tested on animals. Some may even contain skin soothing ingredients like aloe vera. Whenever you go to the store, make sure to either memorize or bring along a list of your allergies. If you know you are allergic to bismuth oxychloride, for example, which is common in eye shadows and so-called “light reflecting” primers, read all of your bottles before purchase, to ensure that none of them contain this harmful chemical. Truly skin-friendly products will have fewer ingredients than other makeup, and will provide natural solutions to all of the problems that sensitive skin presents. They can even play double duty. Instead of just being a foundation, hypoallergenic makeup can be a foundation and moisturizer in one. In general, powders are better for the face than any other kind of makeup. It does not require as many preservatives in order to stay fresh and useful, and therefore is less likely to contain harmful chemicals. Also, earth-toned colors are more likely to be made with natural pigments. It is also best to stay away from waterproof cosmetics, even if they are hypoallergenic, as it often takes a harsh cleanser to remove these cosmetics. Luckily for the woman with sensitive skin—or the woman who just wants to avoid chemicals in her makeup—there are hypoallergenic options for every kind of makeup. 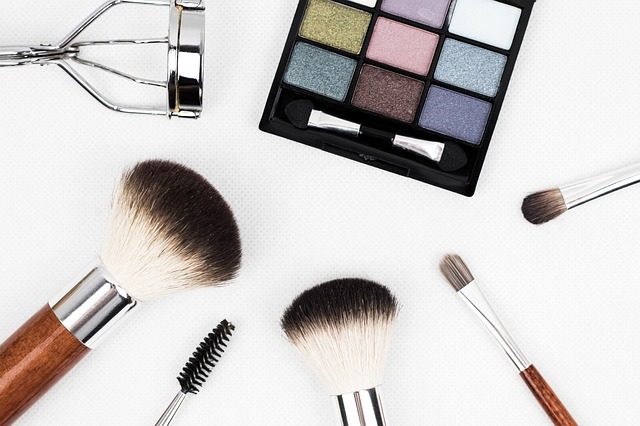 Whether you prefer a natural look, and just want some moisturizer and mascara, or like to be fully-glammed up every day, you can find products that will fit your needs. If you have just discovered you have sensitive skin and need to make the switch to hypoallergenic products, or have avoided makeup because you were always afraid it would irritate your skin, there has never been a better time to look for relevant products. You can find primer, foundation, powder, blush, eyeliner, mascara, etc., especially if you know where to look. Where can I find hypoallergenis makeup? I need help I just found out I have eye allergies and I want to start wearing safe makeup on my face but I do not know were to start. thanks for this article, but i would like to know where in Mumbai- India can i get hypoallergenic and non-comedogenic foundation and primer and which brand.